Major software update for your G500 or G600 Flight Display System | Avionics Blog – Avionics to the Max! As part of Maxcraft’s commit ment to providing ongoing support to its clients, we’re writing to inform you of a major software update for you G500 or G600 flight display system. This upgrade has been several years in the making and enhances both functionality and compatibility in a multitude of ways. Although not a mandatory upgrade, here at Maxcraft we feel it’s worthwhile. Pilots will notice the moving map offers faster display and map rendering and demonstrates an overall revitalized transformation of the existing avionics suite. Smart airspace integration highlights the airspace nearest to the aircraft’s current altitude and de-emphasizes non-pertinent airspace. With airspace altitude overlays, pilots can easily view airspace maximum and minimum altitudes. TargetTrend relative motion technology helps pilots visualize the trend of traffic as it relates to their aircraft. For customers with synthetic vision technology (SVT) enables, traffic targets are also displayed on the PFD. Weather is now easily accessible on the MFD portion fo the G500/G600, displaying NEXRAD radar, METARs, TAFs, winds and temperatures aloft, AIRMETs, SIGMETs, PIREPs, as well as datalink TFRs, NOTAMs and SUA status information. This updated software is provided by Garmin free-of-charge. There will, however, be a small fee covering labour involved in the update process as well as logbook entries. While new 8GB data cards are required to store the increased volume of data included in this update, Garmin has introduced a price reduction program for data cards, reducing your cost significantly. There are three main options in this program, and we have attached a PDFwith details for your convenience – 2015 CUSTOMER MEMO – Garmin to Offer G500 and G600 Datacard Discount Pro. Please note that software updates for GTN series navigators have also just been released. If your installation includes both kinds of hardware, Maxcraft recommends updating both to the latest software version. 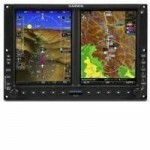 This entry was posted in Avionics News and tagged ADS-B, AIRMETs, Canada, cockpit, display, efis, facility, G500, G600, Garmin FliteCharts, GDL88, geo-referenced, glass cockpit systems, GMA350, GPS, GRA55, GTN, GWX 70, GWX68, instruments, MAP, marker beacon, Maxcraft, METARs, MFD, NEXRAD, NOTAMs, pilots, PIREPs, radar altimeter, SIGMETs, SUA, TAFs, TAWS, tcas, TFRs, traffic. Bookmark the permalink.